A new report on workplace safety calls for greater efforts to prevent on-the-job fatalities particularly among temporary and migrant workers across the country. The report, “Preventable Deaths: the Tragedy of Workplace Fatalities,” was released by the National Council for Occupational Safety and Health to commemorate Workers Memorial Day. The report focuses on workers who lost their lives in workplace accidents in recent years. Many of these fatalities were caused by lack of adequate training. 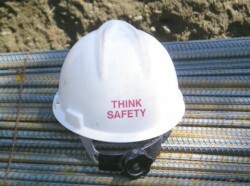 Temporary and migrant workers often have little training and lack access to personal protection equipment. This combination increases their risk of injury or death. Temporary workers may not be covered under their employers’ workers’ compensation insurance and therefore have no coverage for medical expenses and other costs if they are hurt on the job. Immigrant workers may also be vulnerable to financial catastrophe after a workplace injury. Immigrants are typically assigned to some of the most dangerous jobs and may enthusiastically take on this work because they want to make better lives for themselves. Many do not speak English and may not benefit from worker education initiatives promoted by the Occupational Safety and Health Administration. As a result, they are at high risk of injuries and may not be aware of their legal rights after an injury. Michael Parsons is an Atlanta workplace injury lawyer, representing injured workers in the metro Atlanta region and helping them recover the benefits that they have earned.